Apple pulls Fingerworks site - Slate launch ahead? Apple iTablet - more rumours, what are the odds? 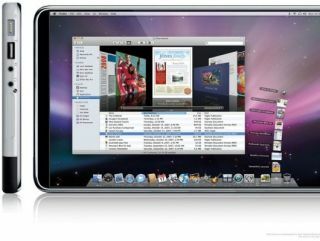 Apple has made the odd decision to pull the content of its Fingerworks.com site, which has sparked yet more rumours of a forthcoming tablet. The company was bought by Apple in early 2005, and created multi-touch keyboards and gesture pads, such as the TouchStream keyboard, a full size, split folding keyboard for sufferers of RSI. Of course, this content pull-down has sparked rumours of an impending Apple iSlate (not that we needed any more) with a lot of the technology likely to be implemented in such a device. "The MacNTouch Gesture Keyboard is a complete user interface that serves as mouse, standard keyboard, and powerful multi-finger gesture interpreter. "Mouse operations like point, click, drag, scroll, and zoom are combined seamlessly with touch-typing and multi-finger gesture everywhere on the MacNTouch's surface." Of course, it also sounds a little but like the trackpad on a Macbook, or the interface with an iPhone - but why let that get in the way of a good rumour?